Despite the heavy downpour in Lahore on Wednesday which reduced the second eliminator of PSL 2018 to 16 overs and made the crease, moisture-laden, former opener of Pakistan, Kamran Akmal, lashed out on Karachi Kings'. His terrific 77 of 27 balls crushed the defending champions Peshawar Zalmi. Now, Peshawar Zalmi will face former champions Islamabad United on Sunday in the final. 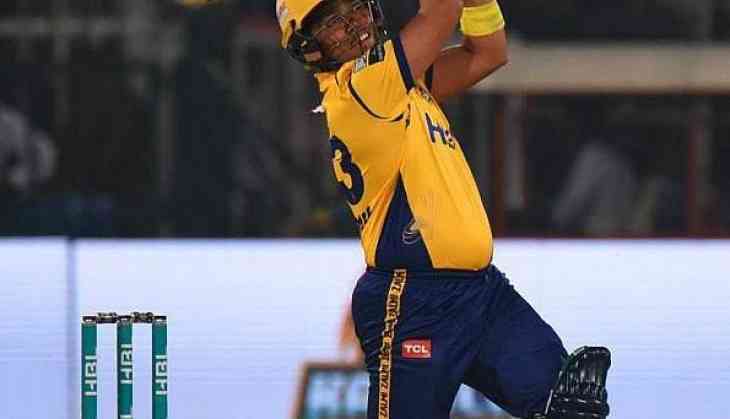 Despite a hamstring injury, Akmal scoured the fastest PSL half-century off 17 balls. He hit eight sixes and five fours, and despite struggling with a hamstring injury, vaulted Peshawar to their second PSL final. In the last over of powerplay, Akmal faced short-ball but that did not let him miss his target, taking the top-edge, he hit some of the best shots of PSL 2018.